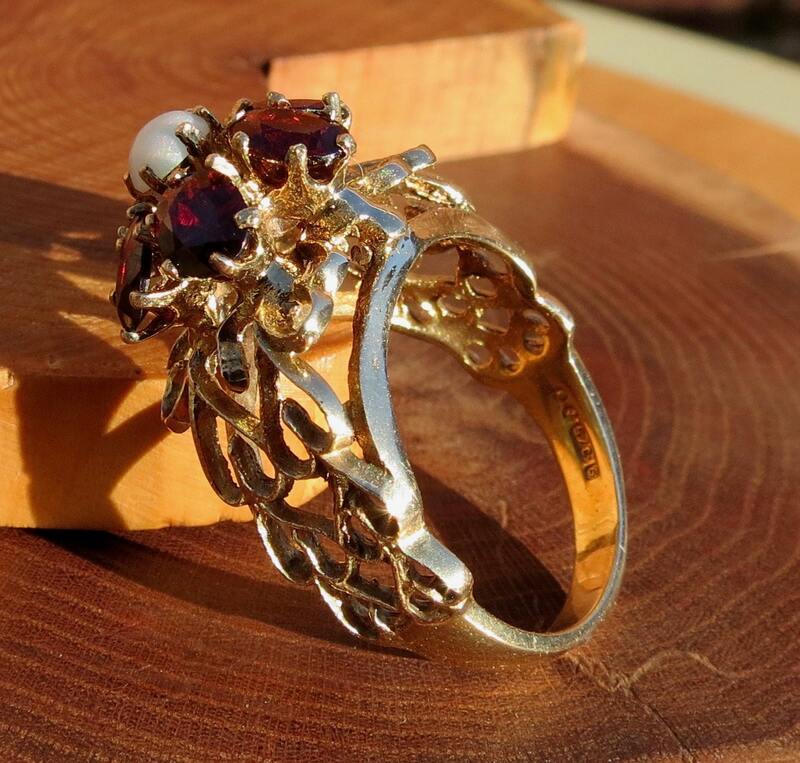 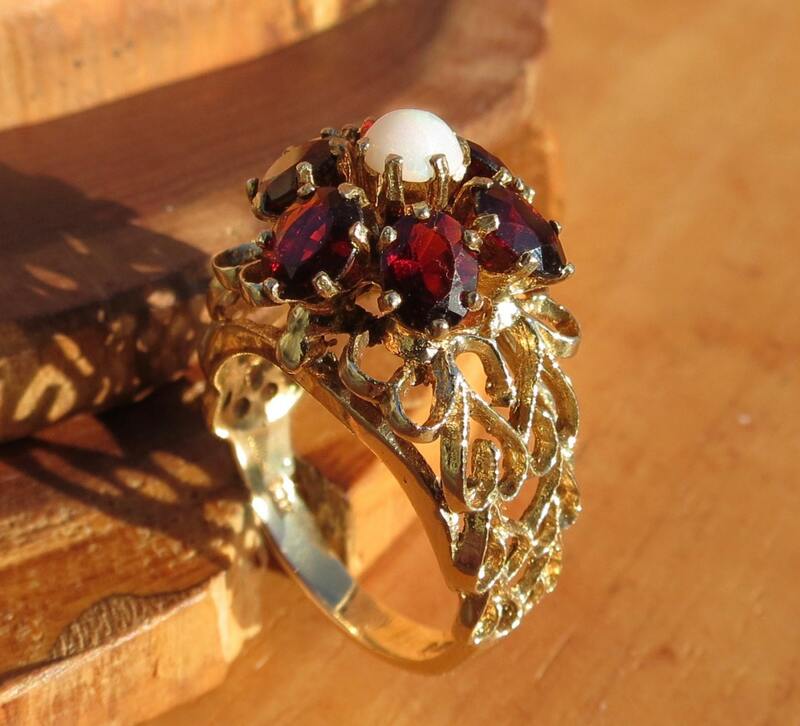 Ornate tall yellow gold red garnet and opal ring. 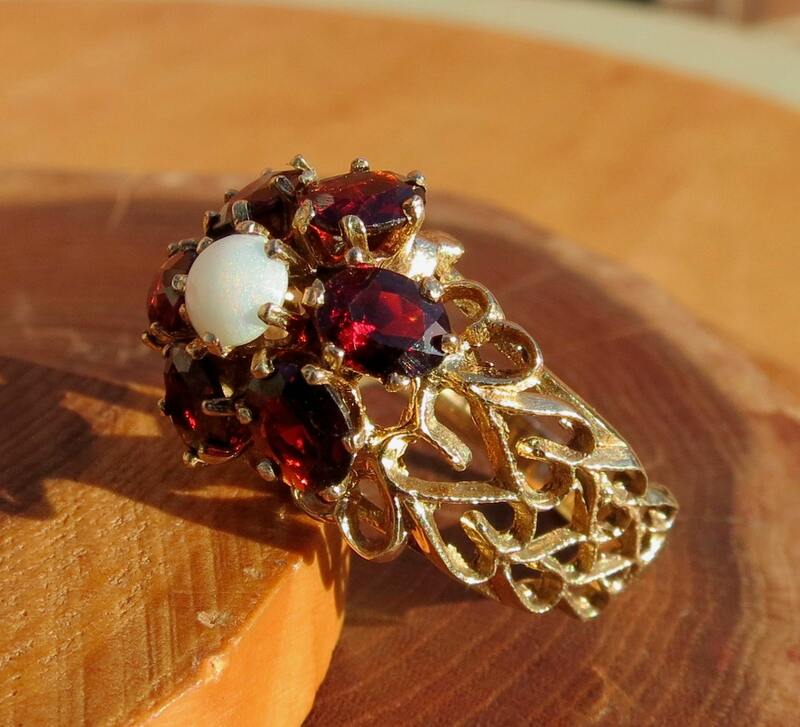 This vintage 9k yellow gold ring has six oval cut red garnets, and a centrally white opal in a cluster arranged setting. 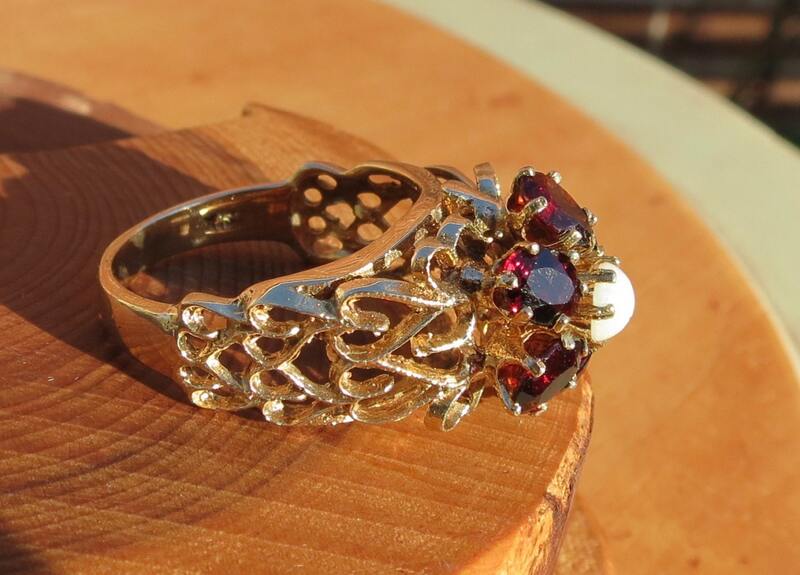 Highly decorated loop shoulders leading to a plain band. 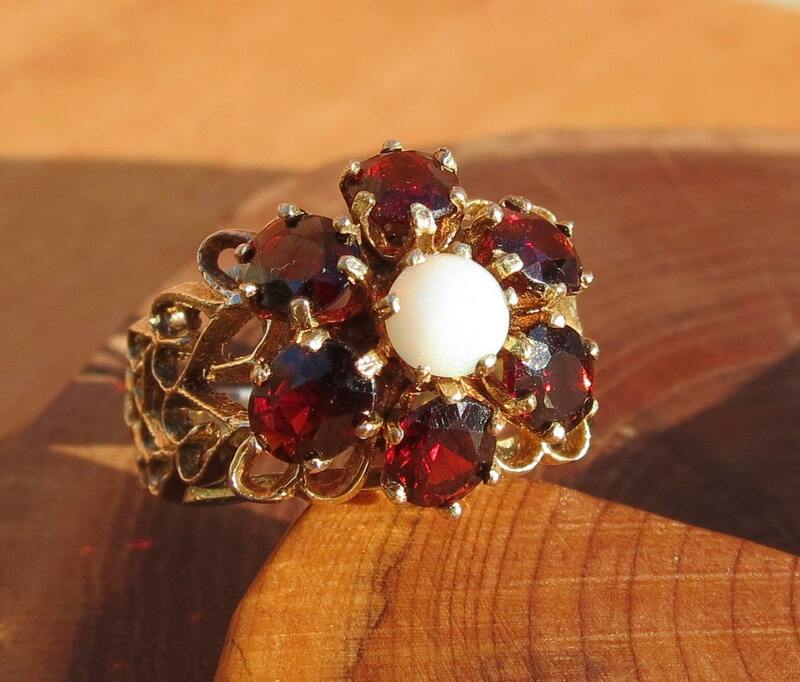 A high setting at 1/2 inch, very ornate and original.